Facilities are well-equiped for outdoors activities. The beach is near the zone. We could safely store our bikes in the backyard. The housekeeper was very friendly and patient despite our arrival time. People are nice and the location is very calm. 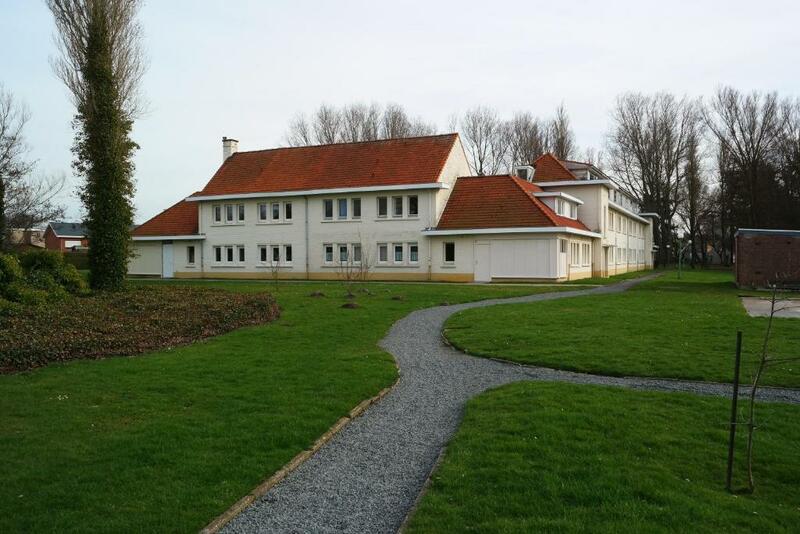 We stayed for 3 nights at Park Atlantis in De Haan. We like the beaches near De Haan and surely we want to come back again. Thank you. Lovely setting, all appartments are around an idealic courtyard. Close to Coast Tram and beach. Caretaker is lovely, very helpful and knowledgeable. The flat was very clean and comfy with good wifi connection. There is a large flat and curved TV with more than 70 channels (including many English film channel)s. The resort is large and is a well situated place. The price is affordable. We had a very pleasurable stay with good service. The apartment was fully equipped with all the cooking equipment. There was enough space for a family of four. Ground floor with garden in the middle. Fairly sized rooms and kitchen. 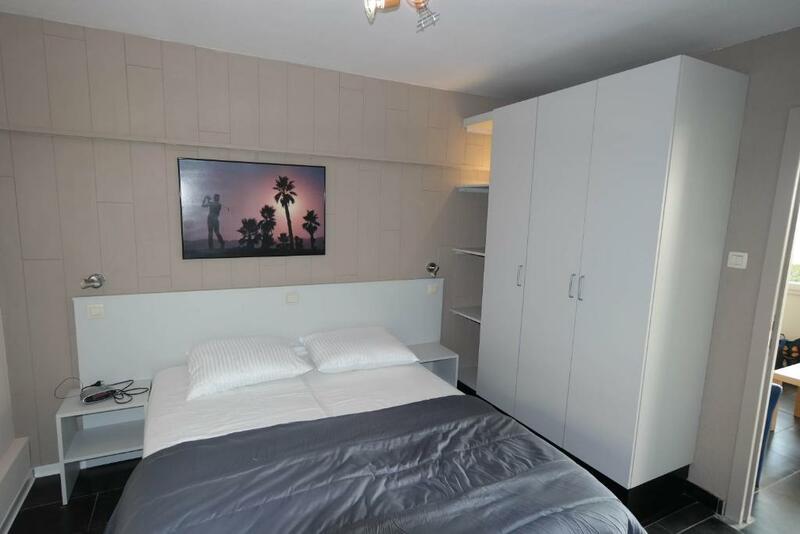 Mooi en goed uitgerust appartement gekregen, proper opgeleverd en met vriendelijke ontvangst. Milieuvriendelijk park: vuilniszakken voor afval sortering beschikbaar; overstromingsbekken in aanbouw, veel groen en natuur,... Kwaliteitsvolle en correcte informatie over de boeking ontvangen als deel van de vlotte afhandeling. Prijs / kwaliteit verhouding is zeer goed. Park Atlantis in De Haan offers self-catering accommodations and a range of outdoor sports facilities including a tennis court, a golf course and a basketball court. Guests can benefit from free on-site parking and a garden with a terrace. WiFi is available in the main building. 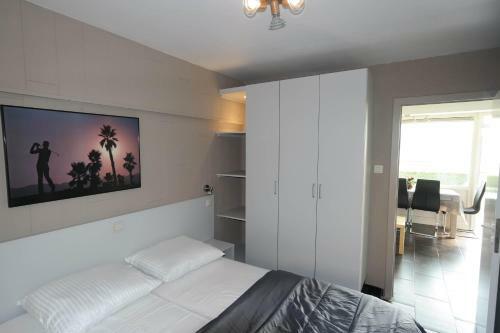 The apartments come with a living room, a flat-screen TV with cable channels and a dining area. 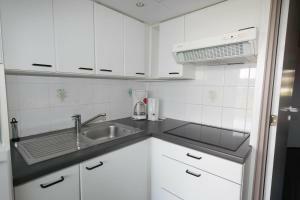 The units also feature a kitchen or kitchenette equipped with kitchenware, a refrigerator and a microwave. The bathroom of each accommodations is fitted with a bath or a shower. A 10-minute walk will take you from Park Atlantis to a range of restaurants, cafés, supermarkets and shops. 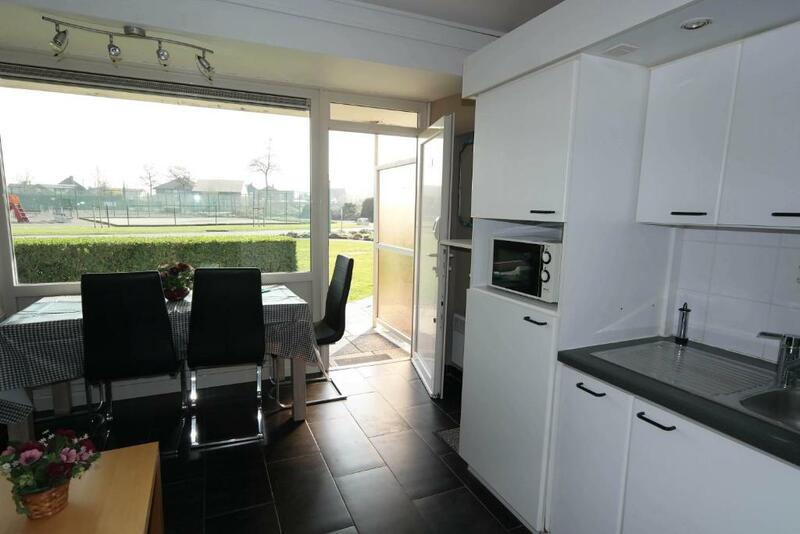 It is a 12-minute walk (3,100 feet) from the property to Royal Ostend Golf Club and the North Sea with the sandy beach. When would you like to stay at Park Atlantis? This apartment features a oven, DVD player and seating area. This apartment has a washing machine, kitchen and toaster. This apartment features a kitchen, kitchenware and toaster. This apartment features a seating area, sofa and toaster. Vakantie aan zee: Park Atlantis® is een vakantiepark ingeplant in een 10 ha groot park,midden in één van de mooiste streken aan de Belgische kust. Een oase van groen en rust op 800 m van de Noordzee en zijn zandstrand. Een beschermde duinenrij is omringd door een verzorgd wandelgebied van 150 ha met in zijn onmiddellijke omgeving enkele wondermooie, schilderachtige polderdorpjes. Dit alles op slechts 10 km van Oostende en Blankenberge en 20 km van Brugge, het "Venetië" van het Noorden. Verder behoren bezoeken aan Damme, pretparken, het Zwin, zelfs een dagje Londen tot de mogelijkheden. House Rules Park Atlantis takes special requests – add in the next step! A EUR195 damage deposit is required 14 days before arrival (about USD217.31). This deposit will be fully refunded 7 days after check-out, as long as there isn't any damage to the property. Please note that payments are required to be made by bank transfer only. Payments must be visible on the bank account prior to arrival. The accommodations does not accept credit cards. If payments are not on the bank account prior to arrival there is an administrative charge of minimal 20€. Please note that a damage deposit payable in advance by bank wire is required. The deposit is 135 EUR for One-Bedroom Apartments and for the Studio and 195 EUR for Two-Bedroom Apartments. This deposit is refundable and will be returned within two weeks after an inspection of the apartment upon departure. It will be refunded by bank transfer. In case the property is left in an excessive state of dirtiness an additional fee of EUR 30 can be asked on top of the normal cleaning fee. Please note that pets are only allowed upon request. Please note that only bank transfer payment are accepted at the property. A damage deposit of EUR 195 is required. The host charges this 14 days before arrival. That's about 217.31USD. This will be collected by bank transfer. You should be reimbursed within 7 days of check-out. Your deposit will be refunded in full by bank transfer, subject to an inspection of the property. Please inform Park Atlantis of your expected arrival time in advance. You can use the Special Requests box when booking, or contact the property directly using the contact details in your confirmation. Very poor WiFi speed. A washing machine would be useful. warm accommodation, easy to drive to Bruge. The bathroom's floor gets easily soaked after taking a shower. A mop should be must have. could do with more things on site, lots of space that could be utilised. We had a Third floor appartment without a balcony or outside seating area. Very small fridge. The flat was very clean and comfy with good wifi connection. There is a large flat and curved TV with more than 70 channels (including many English film channels). The resort is large and is a well situated place. The price is affordable. We had a very pleasurable stay with good service. One of the shower rooms was quite smelly, probably due to the fact that it hadn't been used for a while.